Vice President Constantino Chiwenga has returned home from South Africa where he was receiving medical attention. He touched down at the Manyame Air Base at 1850 hours accompanied by his wife Marry, who had travelled for a routine review and Deputy Minister of Health and Child Care, Dr John Mangwiro. Deputy Chief Secretary to the President and Cabinet (Presidential Communications) who is also the Presidential spokesperson, Mr George Charamba said the vice president and his wife were in high spirits. "He touched down at 1850 hours accompanied by his wife and the Deputy Minister of Health and Child Care," said Mr Charamba. "Very chatty and jovial both husband and wife hugging officers from his office. Obviously, the couple needs time to rally again. His Excellency the President spoke to the couple this evening (last night) and is set to visit them at their home tomorrow morning (today)." Mr Charamba cleared the rumour on social media suggesting that Foreign Affairs and International Trade Minister Retired Lieutenant General Sibusiso Moyo also travelled to South Africa for medical attention. He said Lt Gen Moyo received medical attention at a local hospital and only travelled to South Africa yesterday for a review. "I also want to correct the impression that was in the market that Lt General SB Moyo was in South Africa," said Mr Charamba. "In fact, he was treated at a local hospital and only travelled to South Africa today (yesterday) for a review. He is expected back in a day's time. It is understood that he had two operations meant to remove some growth in the stomach." 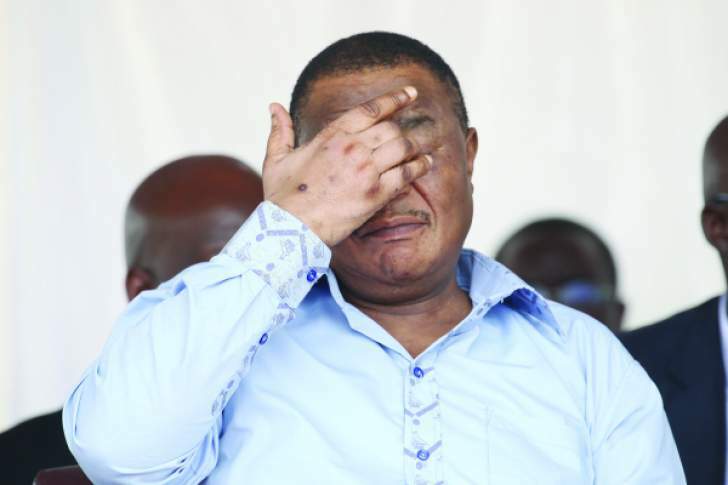 After the White City Stadium bombing incident, VP Chiwenga did not receive thorough medical examination since it happened at the height of the July 30 harmonised elections campaign. He soldiered on to complete the campaign process and after the elections there was pressure of forming the new Government and he could not receive medical attention. Mr Charamba said VP Chiwenga also had a bullet lodged in his lung after he was injured around the Chiduku area in Hwedza during the liberation struggle, making it quite urgent to receive a thorough medical examination. The Bulawayo bombing incident affected VP Chiwenga and his wife Marry, alongside Vice President Kembo Mohadi and several Government officials and security personnel. 9th assembly leadership: Why zone to an individual? ANALYSIS: Will Buhari give Emefiele a second term as CBN governor? Why Does She Date Men That Are Beneath Her? Am I Trying Too Hard To Keep A Man? Important Tips on How to Make Your Girlfriend Love You More? © 2009 - Copyright Onlinenigeria.com. All Rights reserved.